Well, it’s almost that time of the year again – too much food, sunburn, mosquitoes, flies and photographing fireworks! And then, go to work the next day! 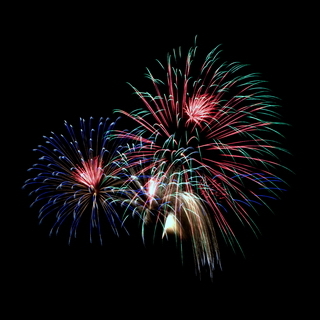 Follow the photographing fireworks tutorial to make images like this! So, for those of you who will be out photographing fireworks this year – either intentionally or as an escape from the madness of the day, I’m recycling some posts that can help you process your images and impress friends and family with your work. At the very least, this will give you some great images to display on your wall, smartphone or tablet. Click on “Continue reading” in the snippet below and enjoy! This tutorial is easy to follow and uses free software – it can’t get much better than that. If you’re not inclined to make your own images, or not willing to fight the crowds, we’ve got some images for you to look at here on Laughing Frog Images. Enjoy friends and family, and be safe.